The northern city of Townsville has had over 3 feet of rain in the past week. The Australian government is warning citizens to be on the look out for crocodiles and snakes in the streets amid severe rainfall and flooding in north Queensland over the past few days. “Crocodiles prefer calmer waters and they may move around in search of a quiet place to wait for floodwaters to recede,” Leeanne Enoch, Queensland's minister for environment, said in a statement Monday. (Erin Hahn/AFP via Getty Images) A handout photo taken by Erin Hahn on Feb. 3, 2019 shows a crocodile during the floods in Townsville, Australia. 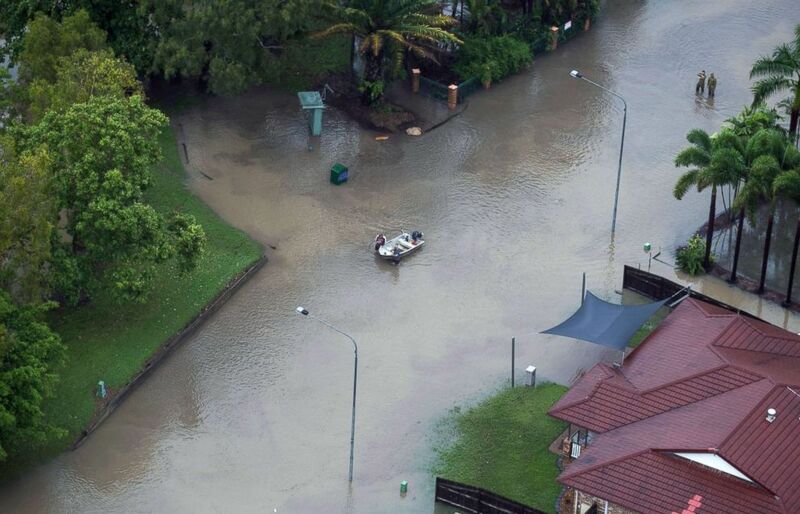 The coastal city of Townsville has been the most affected by the flooding. Local media outlet 7news posted a video on Twitter of an 11-foot crocodile crawling up a highway to the north of the city. 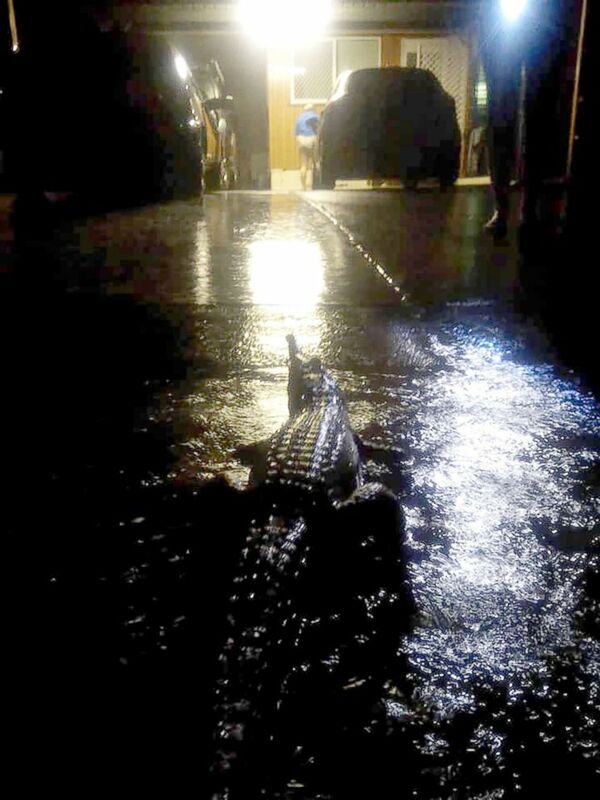 One image of a crocodile roaming the streets has been shared over 20,000 times on Facebook. 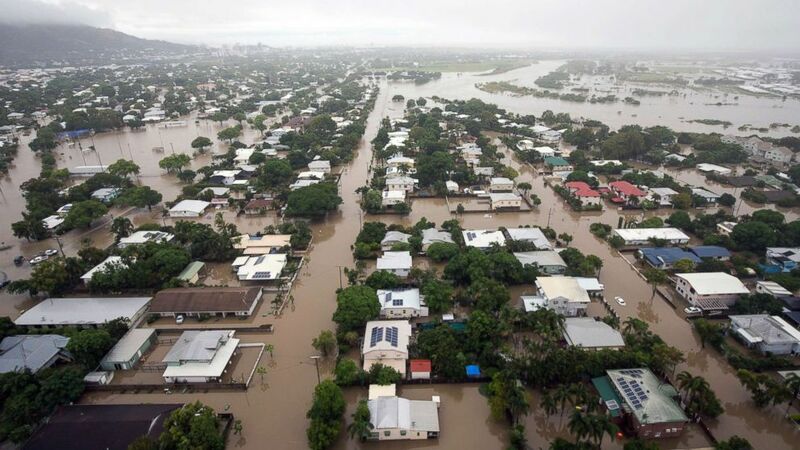 Townsville has been brought to a standstill by severe flooding after an all-time record rainfall, the premier of Queensland, Annastacia Palaszczuk, said Saturday. The town has experienced the equivalent of 3.2 feet of rainfall over the past week. Townsville has had the equivalent of more than one metre of rain in the last seven days. This is an all time record and we’re not out of the woods yet. We’re also seeing impacts in the North-West of the state. Over 900 people are in evacuation centers and all local schools have been closed, Palszczuk told Australia's "The Today Show." "It's basically not just a one in 20-year event, it's a one in 100-year event," she said Saturday, according to the AFP. (Dave Acree/ EPA via Shutterstock) An aerial view shows houses inundated with flood waters in Townsville, Queensland, Australia, Feb. 4, 2019. Heavy rain continues to drench Townsville, with 6 to 10 inches of rainfall lashing the city since Sunday morning, according to the Townsville Bulletin. Around 17,000 properties in Townsville are believed to be without power. Queensland police and the army have been drafted to help respond to the crisis. (Dave Acree/EPA via Shutterstock) An aerial view shows residents leading a small boat through a flooded street in Townsville, Queensland, Australia, Feb. 4, 2019. 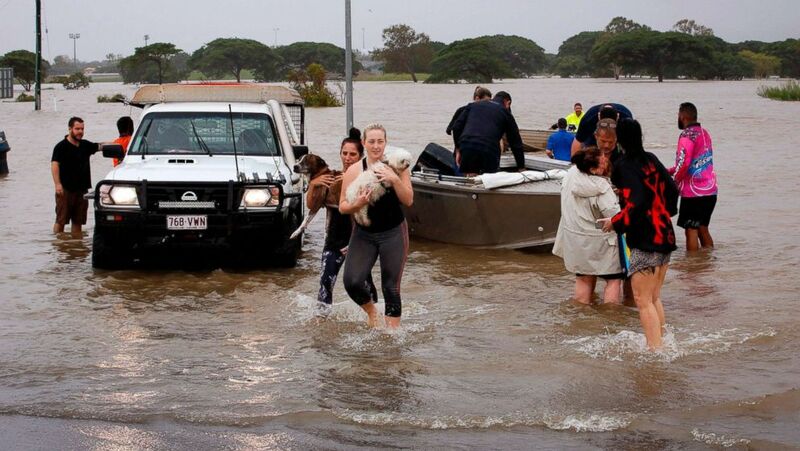 The flooding comes as Australia experienced its hottest month on record in January, according to the BBC. The extreme weather had a significant impact on the local environment. Last month, 90 wild horses were found dead in the Outback because of dried up watering holes. (STR/AFP/Getty Images) Flood-affected people are evacuated from Townsville, Feb. 4, 2019, as the recent downpour in Australia.